Welcome back for another edition of THE SPACE KNOWER, a series from ROCKETGUT! that brings you that latest space news from around the solar system. I'm your host, Scoop Davis. This week our ship, THE SPACE KNOWER, is back to Ryugu, the kilometer-wide asteroid we visited in episode one. Japan's Hayabusa2 spacecraft has been exploring Ryugu since June, and last Friday it dropped two drum-shaped probes on the surface. These probes have a unique feature: they can hop! The gravity here is so weak, all it takes is a small, spinning motor to create enough momentum to lift the probes off the surface for 15 minutes at a time. Wow! 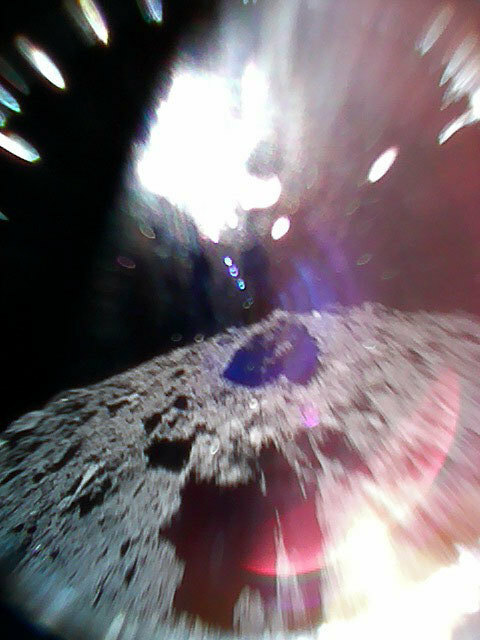 Here you can see Ryugu's rugged surface, and a big white splotch of sunlight entering the lens, creating some wild visual effects. You can even see the lens itself staring back like a ghostly purple eyeball. Since the probe was moving, everything has a bit of a motion blur to it. But because I came all the way out here, I can attest the image from Ryugu is not, in fact, a still from 2001: A Space Odyssey. That's SERVICE JOURNALISM, folks. Anyway, if you want to learn more about these adorable little spacecraft, you can read my full story at planetary.org. Uh oh. 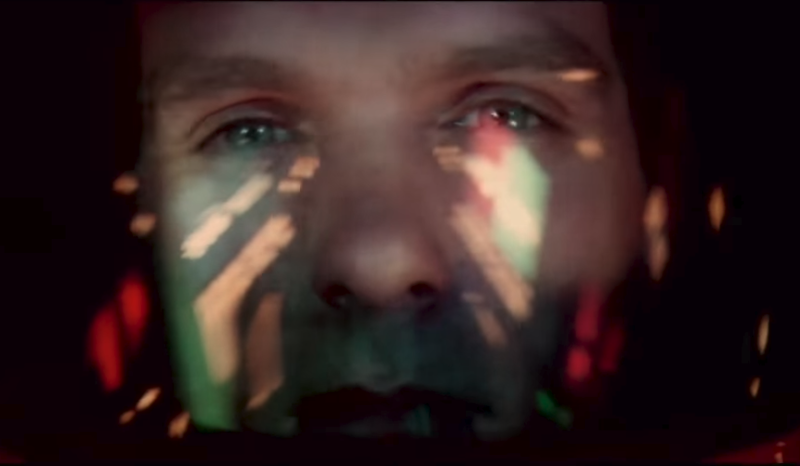 The SPACE KNOWER’s computer says there's some important space news coming from Earth. Let's fire up the engines and head to… Washington, D.C.! As we also discussed in episode one, President Trump, along with a contingent of military hawks and aerospace lobbyists, wants to create a new military branch called the Space Force. This is not nearly as exciting and dramatic as it sounds; it’s mostly a bureaucratic arm-wrestling match over who gets to control the country's space-related military activities. There’s also a lot of money at stake, and now we have an estimate on exactly how much: The Space Force could cost $3 billion over the next fiscal year and $12.9 billion total over 5 years. That's a lot by real people standards, but for the military it's a mere four-tenths of one percent of the Department of Defense’s staggering $700 billion annual budget. The proposal won't be formalized until next year; in the meantime, THE SPACE KNOWER will keep following the story. Moving on! Let’s make our own short hop from D.C. to the stately city of Boston, where... hang on, my ROCKETGUT! colleague, Porter McDonald, says that all mentions of Boston must include a shout-out to his favorite baseball team, the Red Sox, who recently clinched the AL East title. Congrats, Red Sox! Those fuzzy blobs are the Small and Large Magellanic clouds, the Milky Way's little companion galaxies. TESS stares at sections of the sky like this for a month at a time and watches to see if any of the stars’ brightness levels change. If they do, it could mean a planet is passing in front of the star, causing it to temporarily dim from our perspective. The mission has already found at least one planet candidate (meaning scientists need to verify it using a second telescope), a world just 60 light years away that makes one orbit around its star every 6.3 days. By the way, since TESS stares at such large portions of the sky, sometimes other objects like this comet wander through its field of view. RUDE. Besides the comet, there's some other cool stuff in that picture. See those stars blinking on and off? Those are variable stars, which swell and shrink on regular cycles. There are also some asteroids wandering around in this image; stare at the bottom center to see one cruise by from right to left. Space is so friggin’ cool. She's got a captive audience! From left, that’s astronaut Nicole Mann, Representative Brian Babin, and Senator Ted Cruz. 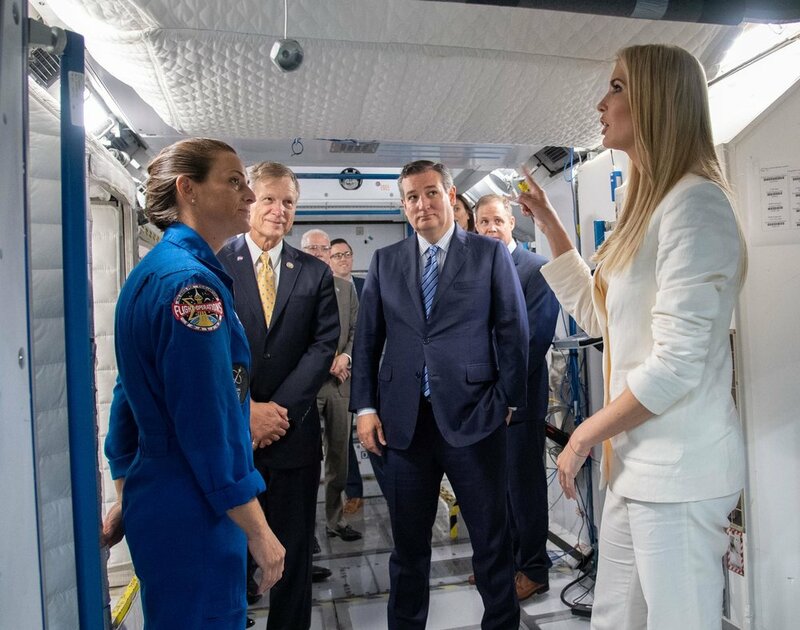 Ivanka has been touring Texas to campaign for Babin and Cruz, who are both Republicans facing reelection challenges this year. The White House said she stopped at JSC as part of an effort to promote STEM education. Scoop Davis in the ISS training mockup at JSC, 2015. That's all for this episode of the SPACE KNOWER. If you have any questions or topics for a future episode, send them to us at rocketgut@gmail.com. And if you liked the SPACE KNOWER, please share it on social media, and grab a pack of stickers from our store! Thanks!